The building’s geometric complexity and multitude of flashing junctures exacerbated its vulnerability to leakage. Widespread cracking of the stucco resulted from post-tensioned creep of the structure, rather than reflecting the stucco application. 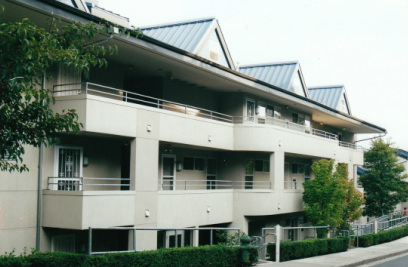 Project Summary:	This recently completed condominium building began experiencing extensive leakage shortly after its construction. An investigative report prepared by another consulting firm placed much of the blame on improper stucco cladding installation, resulting in a very costly claim against the stucco subcontractor, leading to litigation. PL:BECS Services:	PL:BECS was retained to provide technical consulting to the stucco contractor’s attorney. Although the PL:BECS investigation confirmed that aspects of the stucco installation were improperly executed, it also revealed that a multitude of other flaws unrelated to the stucco application contributed substantially to the leakage. 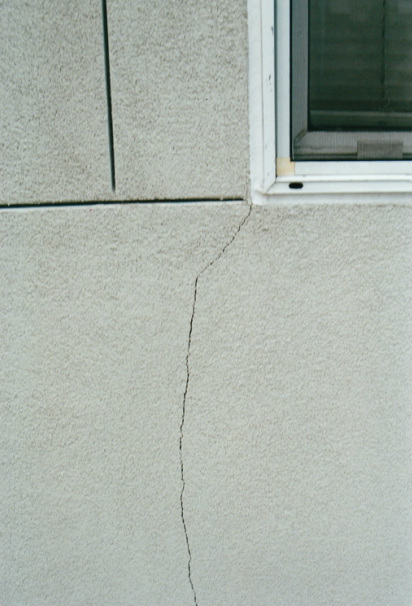 In particular, the PL:BECS investigation revealed that much of the stucco cracking, which had been attributed to the stucco application in the other consultant’s report, had actually resulted from lateral creep of the post-tensioned concrete structure, and was completely unrelated to the stucco application. The technical input provided by PL:BECS was instrumental in reaching a settlement which reduced the stucco contractor’s liability by well over a million dollars, or nearly 99% of the original claim.